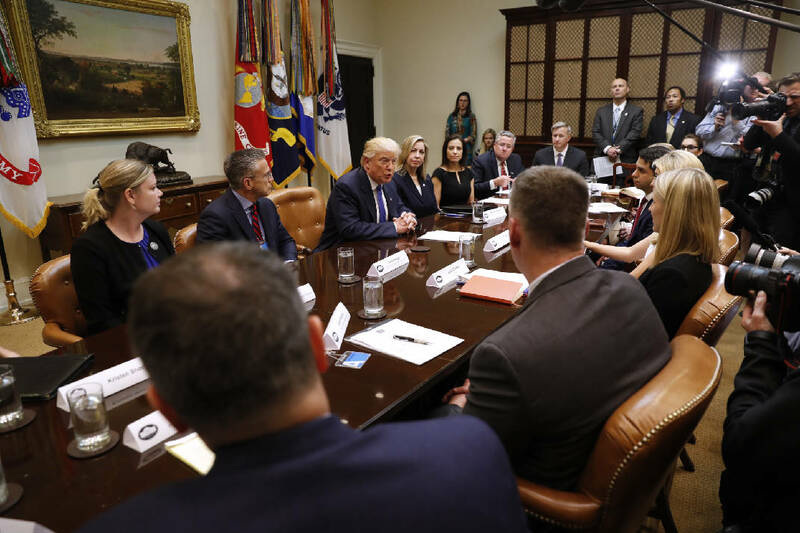 WASHINGTON (AP) - President Donald Trump says he will bring the "full force and weight" of the U.S. government to combat an "epidemic" of human trafficking. The president is meeting at the White House with senior advisers and representatives of organizations that deal with trafficking. His daughter, Ivanka Trump, is among those in attendance. Trump calls human trafficking a problem that is "not talked about enough." He says he will order the departments of Justice and Homeland Security to take a hard look at the resources they are devoting to addressing the issue.